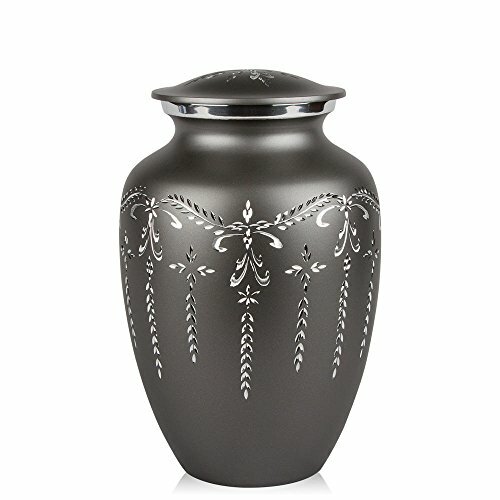 The large fancy flourish cremation urn is crafted from aluminum. The urn has a beautiful hand-painted finish. This urn has a top-opening with a secure threaded lid. Color & pattern may vary. If you have any questions about this product by Perfect Memorials, contact us by completing and submitting the form below. If you are looking for a specif part number, please include it with your message.